This ODYSSEY is well equipped with great features...NAVIGATION, REAR CAMERA, SUNFOOF, POWER SIDING DOORS, HEATED FRONT SEATS and so much more. Call today to arrange your test drive. 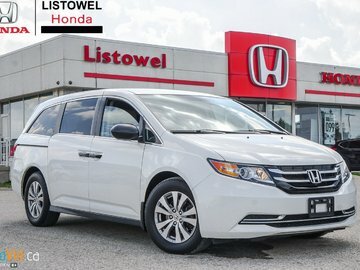 Save thousands $$$$$ versus brand new 2019 Odyssey EX-L. Interested in the 2015 Honda Odyssey EX-L - NAVIGATION ?